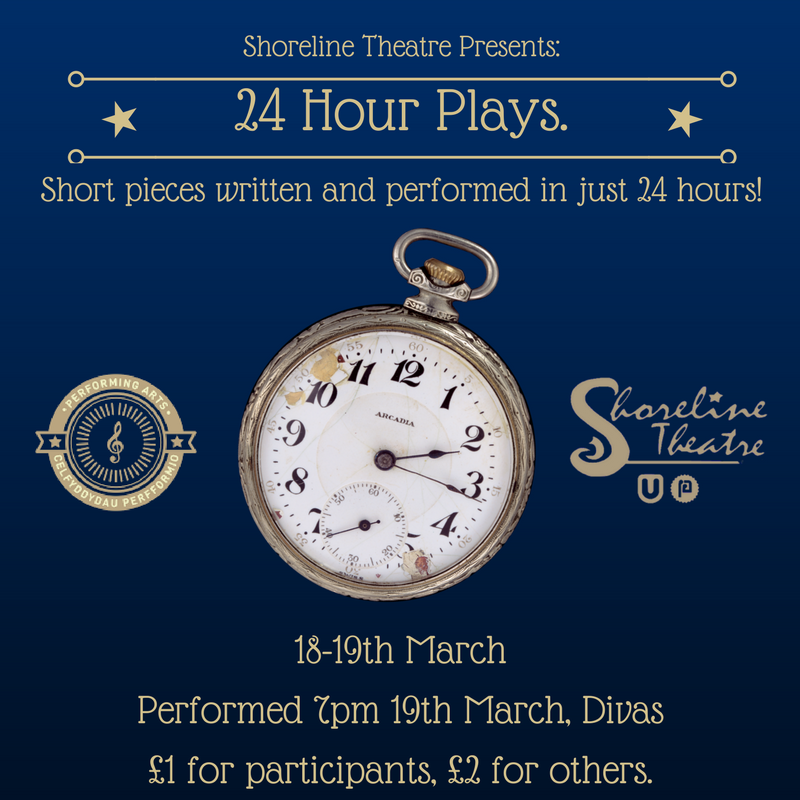 24 Hour Plays return for their third year of performing in Shoreline, and this year was an absolute cracker. Featuring three groups of five members, the groups were given 24 coffee-addled and sleepless hours to create a fantastic play each. What emerged on the other side was something quite remarkable. Firstly we had “The Unexpected Cast of Deidre Brown” which was a murder mystery story where the lead actor playing Detective Deidre Brown didn’t actually show up! This meta fourth-wall breaking comedy had audiences in stitches. Secondly came “Happiness on a Boat” which was the complete opposite of what the title suggested. A piece of work which incorporates the Rashomon effect showing the same piece from a different perspective, the short play took place on a plane with a rather fussy customer and her unamused neighbour taking centre stage after much bickering. However, in the background, a far darker scene unfolded which only became apparent upon the play’s second run-through where a girl was regretting her decision to run away from home with a dangerous stranger. Lastly came the Magical Mythical Monster Mayham Bonanza Quiz Show, from a group who as you can probably tell were drinking a lot of wine at the time. This centred around two humans entering a magical quiz show to win the mythical Genie’s lamp which will grant them three wishes. Unfortunately, they get a bit more than they bargained for when the quizmaster is a magical wizard, the luscious assistant is a snarky fairy and they’re competing against a fire-breathing dragon.